We're now on Facebook too! Come follow us to get the latest uptades and pictures. The Ship's Company of Penetanguishene is a group of volunteer Marine Heritage enthusiasts dedicated to preserving traditional seamanship skills and a knowledge of our maritime heritage. 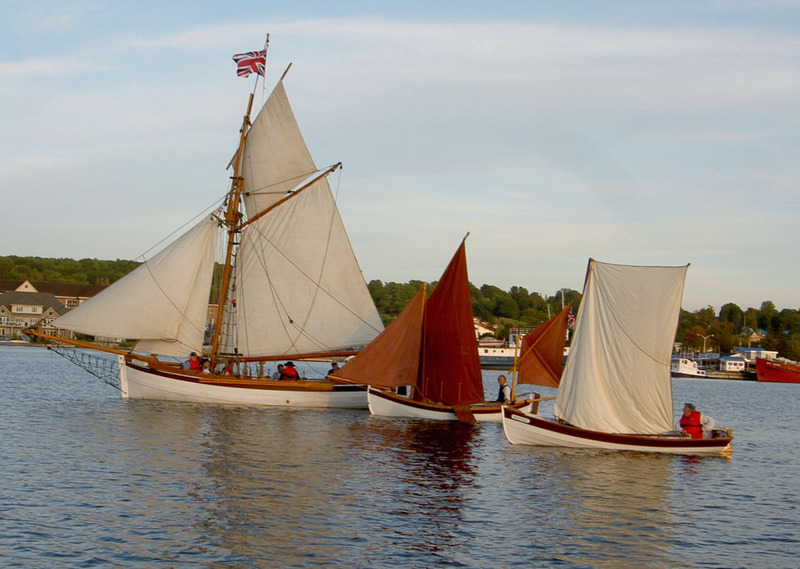 This is done through the building and sailing of historic small boats such as our flagship HMS Badger, training workshops, woodworking, ropework, sailing theory, and Great Lakes and British Royal Navy history. We are based out of Penetanguishene, Ontario on Southern Georgian Bay, in association with the Penetanguishene Centennial Museum, and are a registered not-for-profit group under the auspices of the Ontario Historical Society. We strive to bring alive the naval history of the Great Lakes basin, to provide opportunities for people of all ages to learn through interacting with our crew and vessels. We are developing structured crew training to assist in learning and honing skills that are not used on the modern day-to-day. Within our community The Ship's Company is a place for volunteers of all ages who like to learn new skills, build friendships, have some fun and actively promote our rich marine heritage.